This is the time of year when I start scouting out new Disney books, which are often released in late summer or fall. There's a great list of upcoming titles this year! 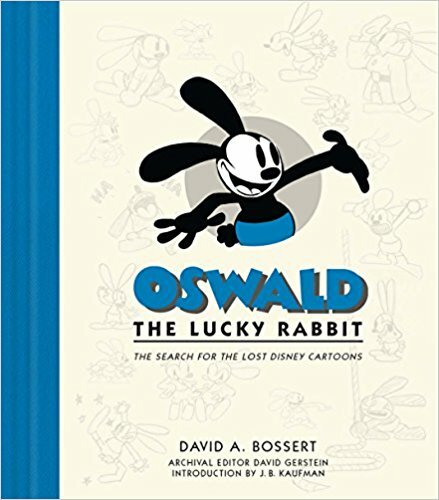 Tops on my "must buy" list is OSWALD THE LUCKY RABBIT: THE SEARCH FOR THE LOST DISNEY CARTOONS by David A. Bossert. Bossert is the coauthor of DALI AND DISNEY: DESTINO. The Oswald book will be released August 29th. Like the next two books on the list, it will be published by Disney Editions. 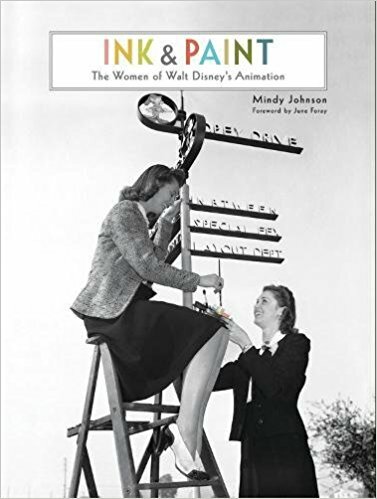 Just a few days later, on September 5th, there's another great new title: INK & PAINT: THE WOMEN OF WALT DISNEY'S ANIMATION by Mindy Johnson. This should be some terrific history. 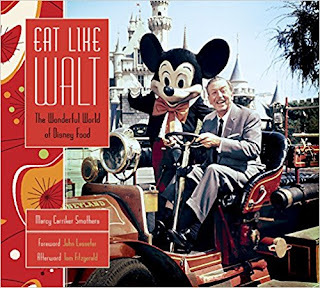 On September 19th another book will be published, EAT LIKE WALT: THE WONDERFUL WORLD OF DISNEY FOOD by Marcy Carriker Smothers. "Walt's Chili" made me as crazy about chili as Walt himself was, so I'm very interested in this book. 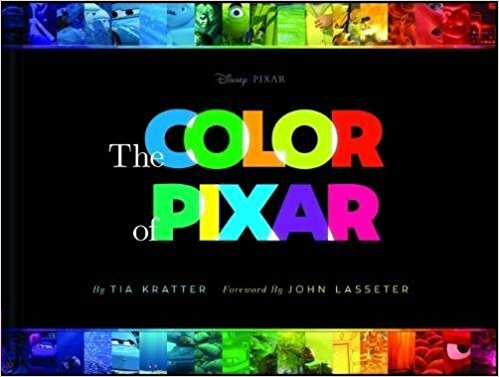 Covering the Pixar end of the Disney company, there's THE COLOR OF PIXAR by Tia Kratter, due to be published by Chronicle Books on August 1st. AWAKING BEAUTY: THE ART OF EYVIND EARLE by Ioan Szasz will be published August 8th. It's the official catalogue for the brand-new exhibit at the Walt Disney Family Museum, which I anticipate visiting for the very first time next month. Below is artwork for the exhibit itself; I've not yet been able to find the catalogue cover. 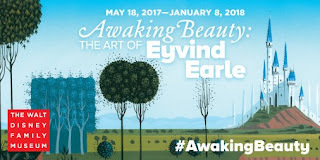 The timing of the exhibit is marvelous as last summer I was able to see a small Earle exhibit at the Forest Lawn Museum in Glendale. 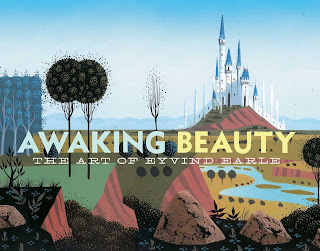 I'm looking forward to delving further into Earle's work. Variety has more information on the exhibit, which just opened today. Update: Many thanks to reader Seth for tipping me off to the upcoming YESTERDAY'S TOMORROW: DISNEY'S MAGICAL MID-CENTURY by director Don Hahn. It will be out from Disney Editions on November 14th. I haven't found a cover yet and will try to update this post when one is available. Update: Here's the cover for YESTERDAY'S TOMORROW! 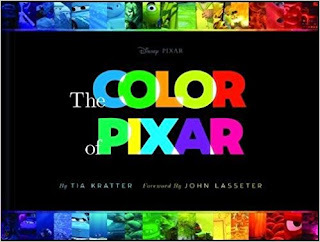 Previously: Upcoming Disney Books (June 2016). I'm particularly intrigued by the ink and paint book. 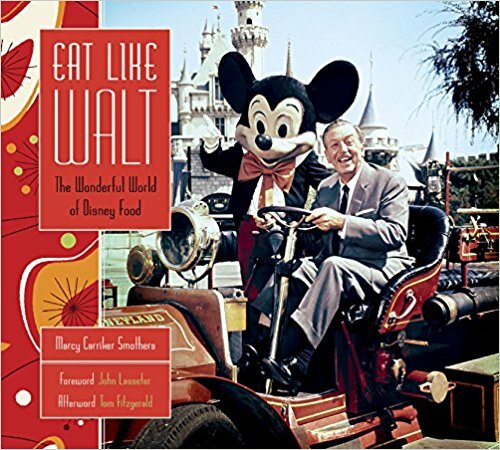 On your list, I'm probably most fascinated by "Eat Like Walt." 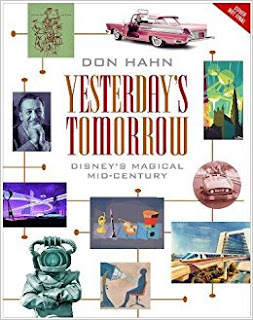 Another title to be released November 14 has also piqued my interest: "Yesterday's Tomorrow: Disney's Magical Mid-Century" by Don Hahn. 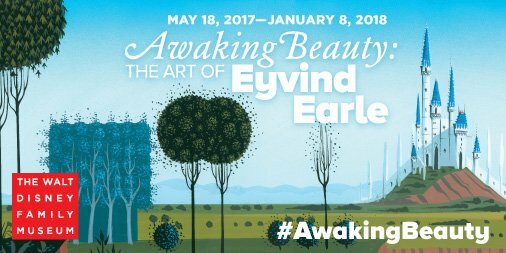 You'll love the Walt Disney Family Museum, and the Eyvind Earle exhibit looks very good. How long are you planning to visit? I took a trip to SF a year ago, in part to visit WDFM, and my four hours there didn't seem like enough time. Caftan Woman, you're welcome! So much of interest here. Seth, many thanks for the tip on the Don Hahn book. It sounds amazing! I just updated my post thanks to you. We'll be in San Francisco for a day and a half, with much of the full day there spent at the museum. I've been telling my husband we need to plan on considerable time there. Thanks for verifying that (grin).